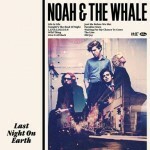 Enter info@sweptawaytv.com to win an autographed CD booklet from Noah and the Whale! Two random winners will chosen on 4-15-11! Lead singer Charlie Fink set to work on the album in January of 2010, holed up in a synagogue in East London. Beginning with a few melodic fragments, a sketch for a 10-minute song that resembled Lou Reed’s classic “Street Hassle,” and a set of lyrics that were begun on a train from Wales to London, something special eventually came into focus, something markedly different from the songs the band had written before. 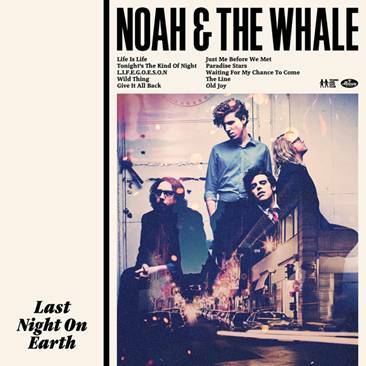 The continued maturation of Noah and the Whale has been a pleasing thing to follow — from the joyous burst of their debut, Peaceful, the World Lays Me Down, through the lovelorn sobriety of The First Days of Spring, it now reaches a kind of fruition on Last Night on Earth. Last Night On Earth was co-produced by lead singer Charlie Fink and Jason Lader [Julian Casablancas, The Mars Volta] in Los Angeles. The album features backing vocals by Jen Turner from Here We Go Magic and gospel vocals by the legendary Waters Sisters, who famously provided backing vocals for Michael Jackson’s untouchable hit “Wanna Be Starting Something.” Elsewhere, the record features Adam MacDougall of The Black Crowes on Moog and Rhodes, and legendary percussionist Lenny Castro.